This site complies with the EU cookie law. By using our site you are agreeing that cookies may be stored. Find out what they are and how we use them here. MRP/ERP/CRM manufacturing enterprise management software. A quick overview of the company, our offering and why we're different. Request access to software demos on USB or online. 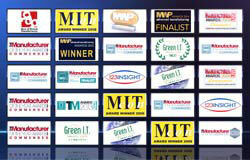 See the award-winning 123insight system across the UK. Find out why we've won dozens of awards. Company history, and what makes our business model so different. We work with a range of companies to provide complete solutions. Integrated e-commerce solution for your website. "If you’re transacting less then there’s the potential for fewer errors... ...The fact that there weren’t any up-front costs made a significant difference." Low monthly pricing, with no minimum contract. Get a price online now. Complimentary refreshments and lunch will be provided. By submitting this form and in line with GDPR regulations I consent to 123 Insight Ltd storing this information and to receiving product information by post, email or by telephone. 123 Insight Ltd does not supply or sell this data to any third-party company. We also respect the individuals' request to exercise their 'right to be forgotten' and will remove relevant personal details of an individual from our databases upon request.